Abdul Kuddu Sab Shaikh, 76, of Cowl Bazar in Bellary, Karnataka, is the caretaker of the local mosque. He lives in a makeshift shelter next to the mosque, along with his wife and widowed daughter, and his livelihood depends on the charity of the people visiting the mosque. 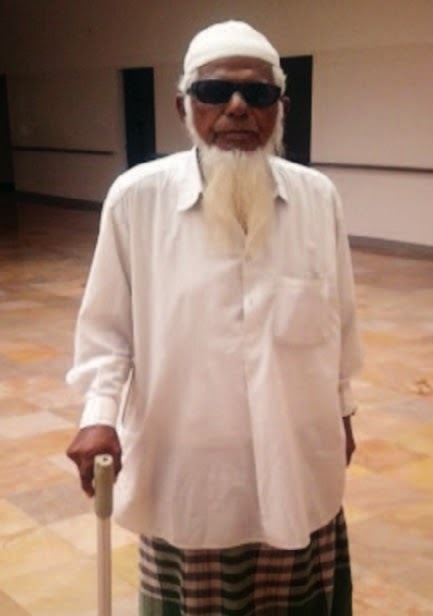 He had been suffering from bilateral cataract and was challenged in his daily work due to old age and low vision. But he had not sought any health service owing to his lack of resources. restored, he gives credit to the Almighty and also praises the efforts of LVPEI's doctors and staff.